Apple has officially seeded the latest OS X Yosemite 10.10.3 Public Beta 4 (Build: 14D105g) Update, which is the fourth beta version of upcoming OS X 10.10.3 Yosemite operating system. All Mac OS X developers and non-developers (general public users) can upgrade and install the newest available update for testing and experimenting. The Direct Download Links of OS X Yosemite 10.10.3 Public Beta 4 Delta / Combo Update .DMG Files are appended below. Apple has also released Safari 8.0.4 for OS X Yosemite v10.10.x, Safari 7.1.4 for OS X Mavericks v10.9.x, Safari 6.2.4 for OS X Mountain Lion v10.8.x and also a recommended Security Update 2015-003 for OS X Yosemite v10.10.2. The release notes of OS X Yosemite 10.10.3 Beta 4 Public (14D105g) includes various new features and functionalities such as; Support for Force Touch APIs, Photos Application, Diverse Emoji, Google 2-Step Verification, Bugs Fixes, Improvements, Stability and Enhancements. More you can read in below image! How to Manually Install OS X 10.10.3 Beta 4? 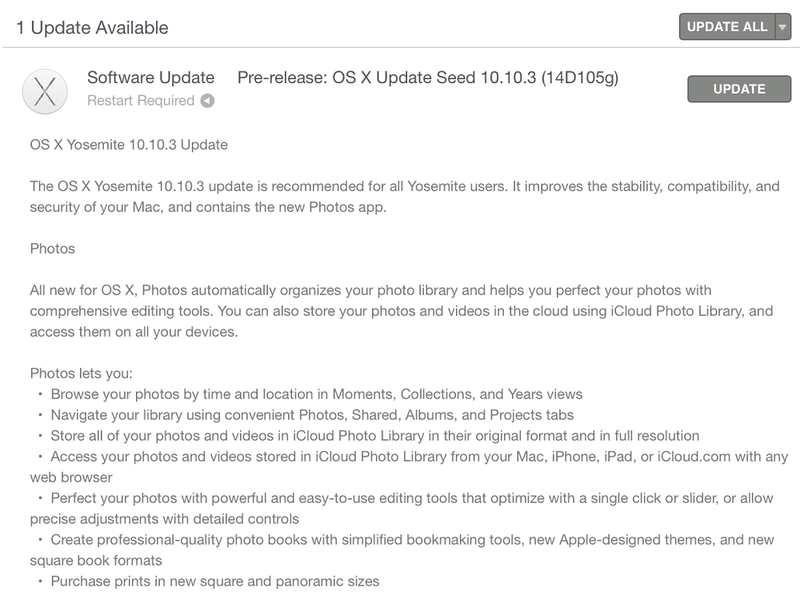 To install OS X 10.10.3 Public Beta 4 Update automatically, move to Mac App Store >> Software Update option. Apple Mac OS X developers can go-to OS X Dev Center website to get official OS X 10.10.3 Beta 4 Downloads, Whereas, OS X non-developers can install and activate OS X 10.10.3 Public Beta 4 without UDID developer account via iTunes for Free. 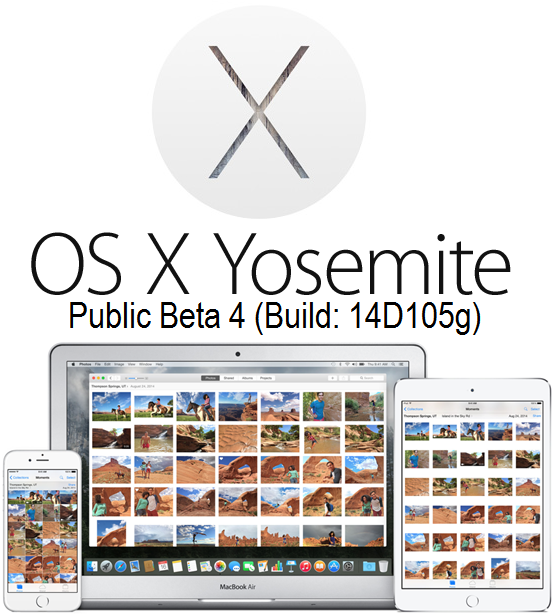 Download OS X 10.10.3 Public Beta 4 Combo / Delta Update .DMG Files via Direct Links.